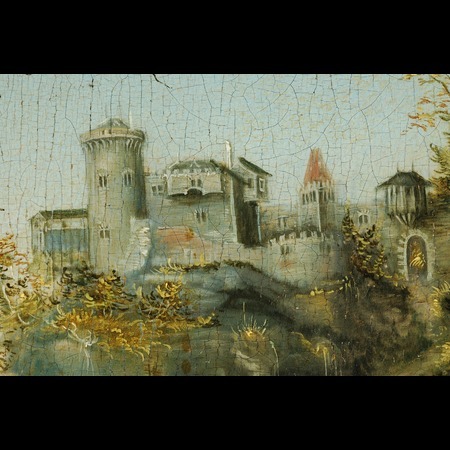 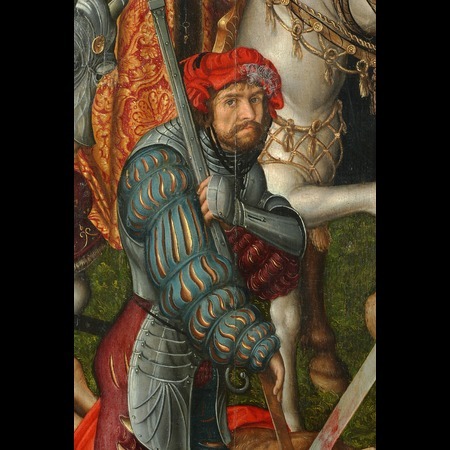 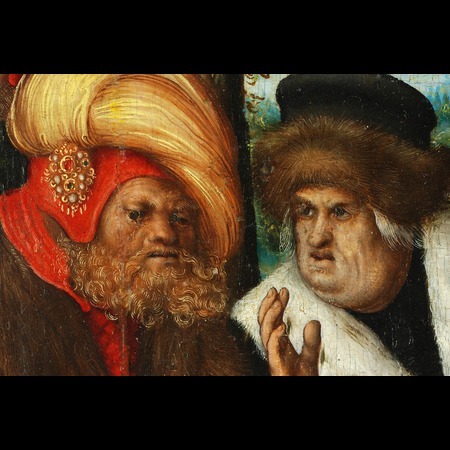 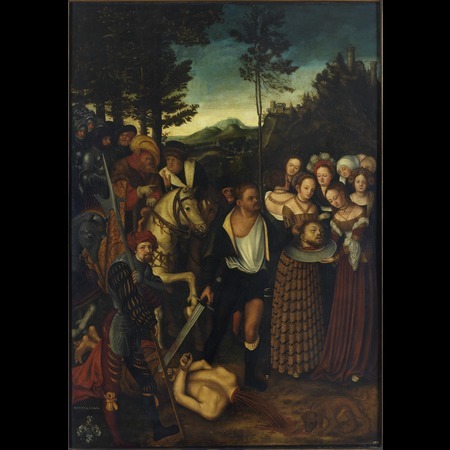 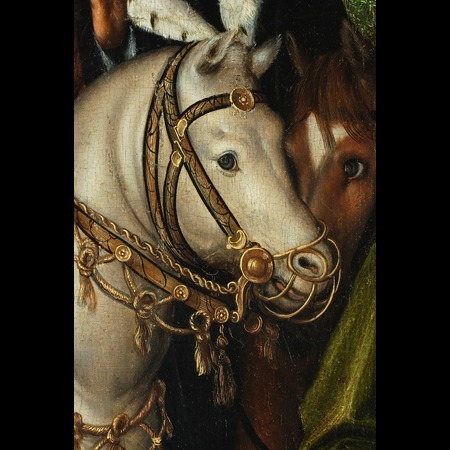 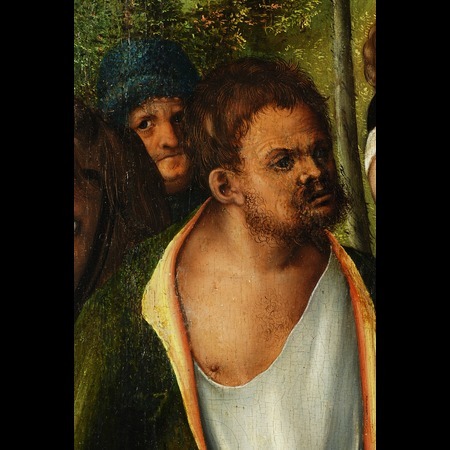 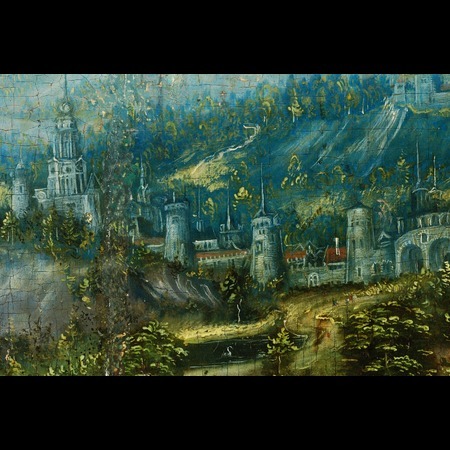 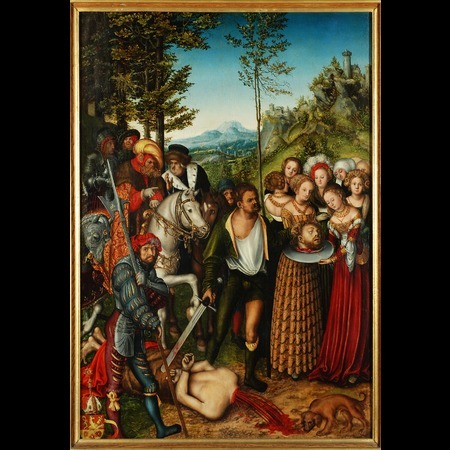 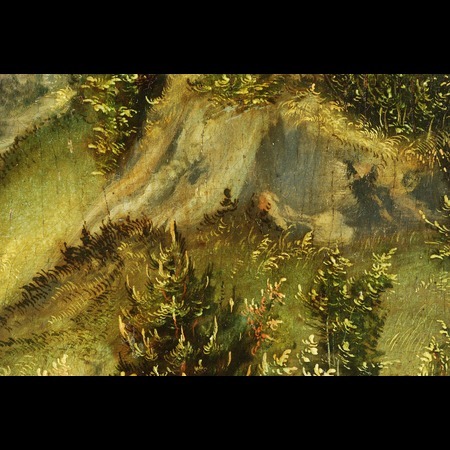 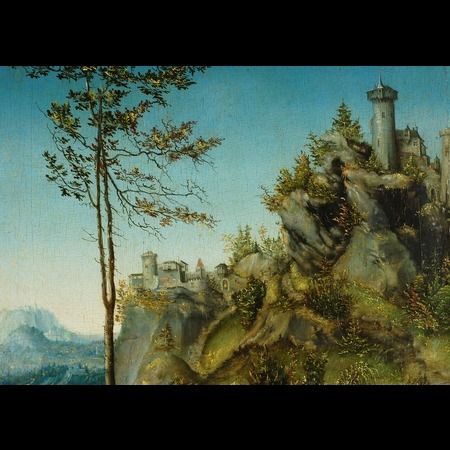 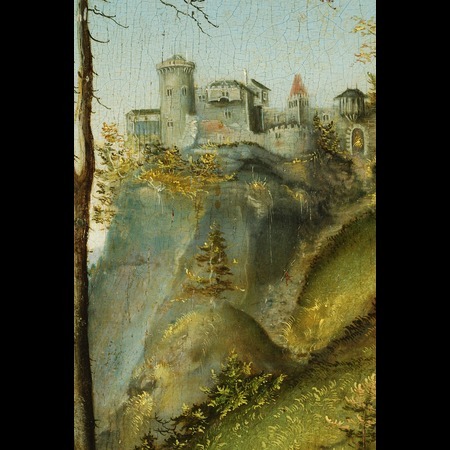 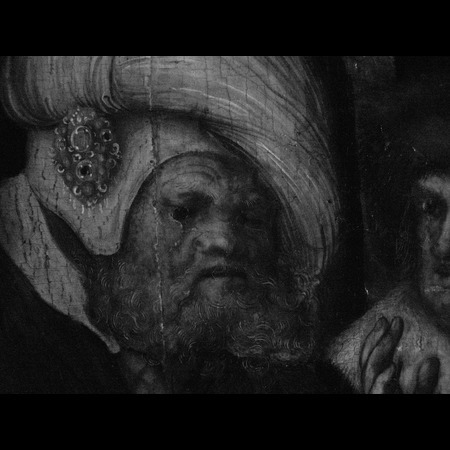 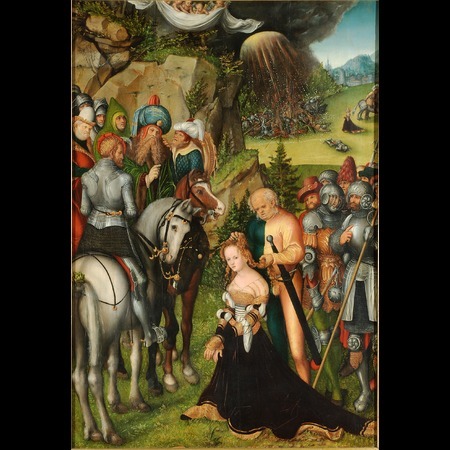 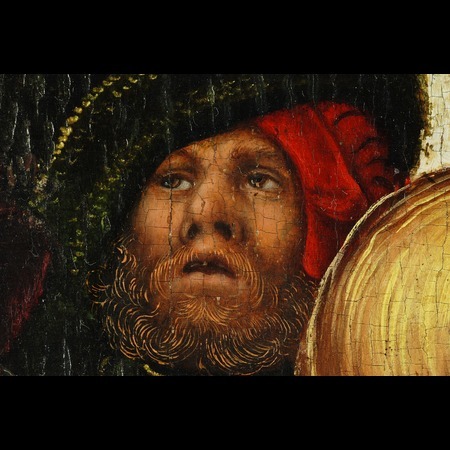 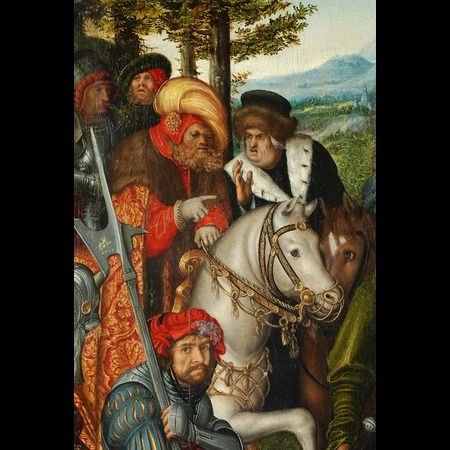 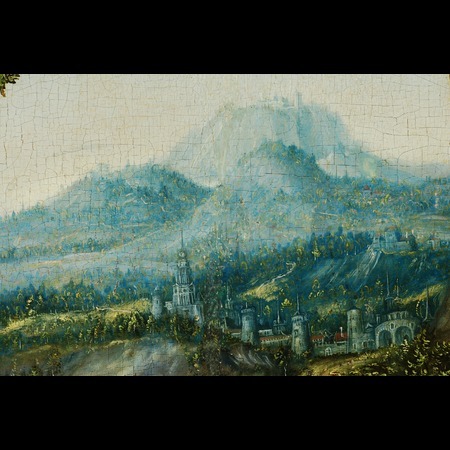 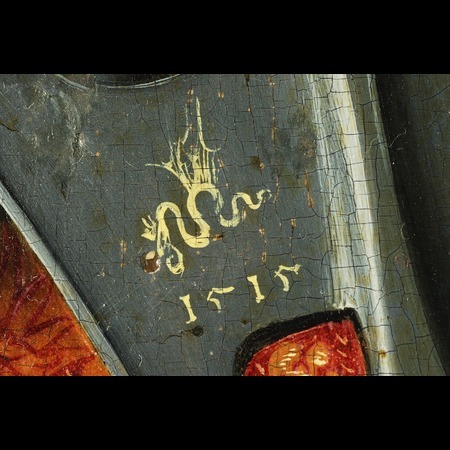 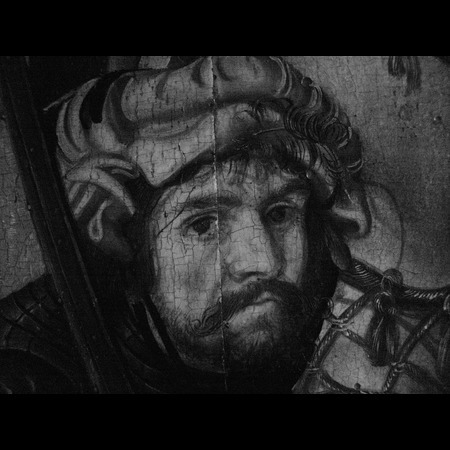 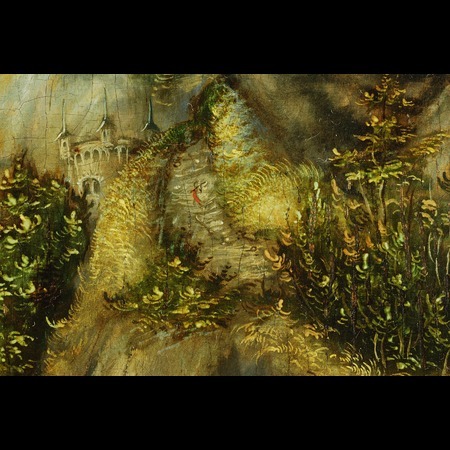 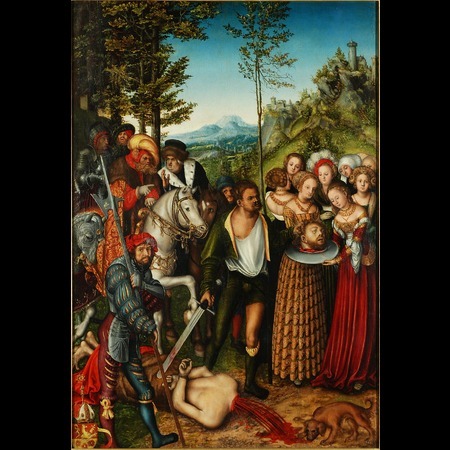 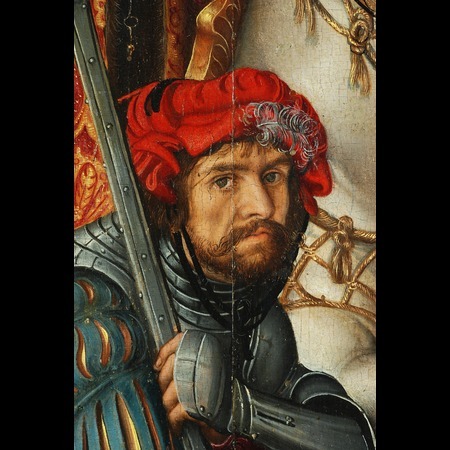 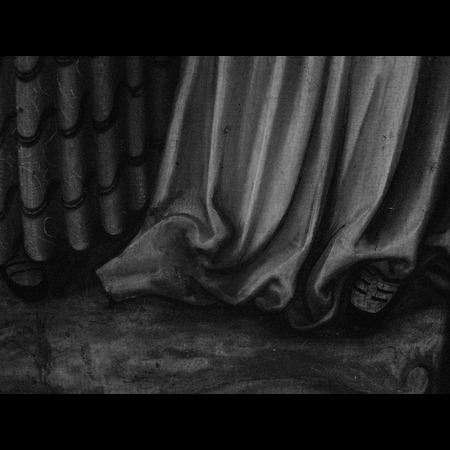 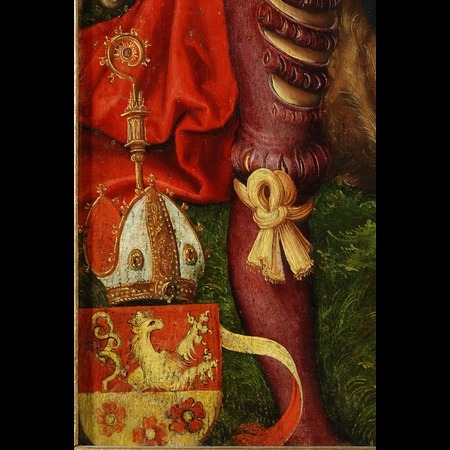 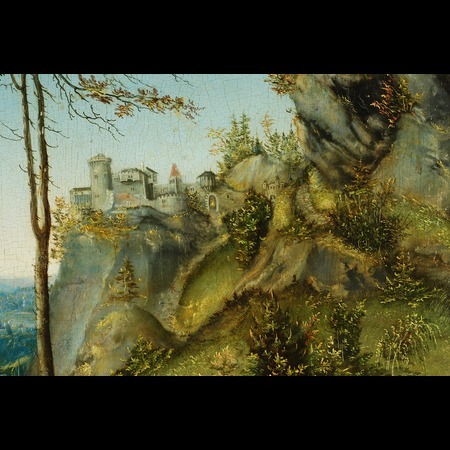 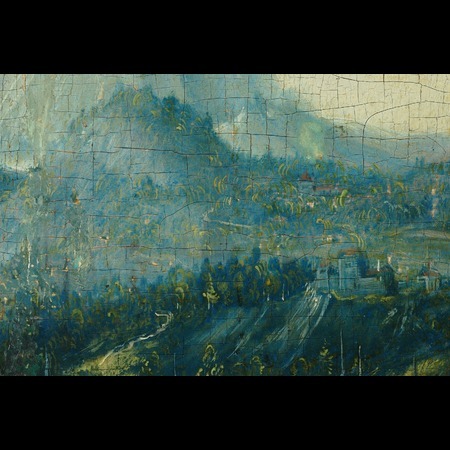 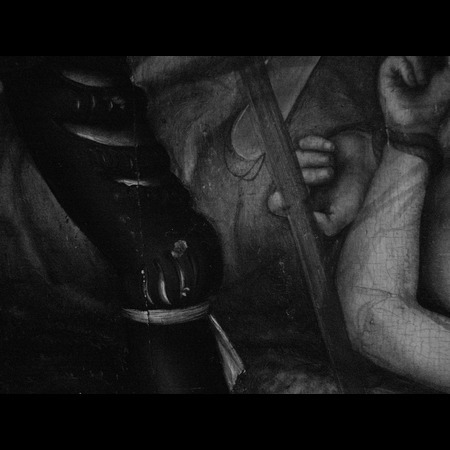 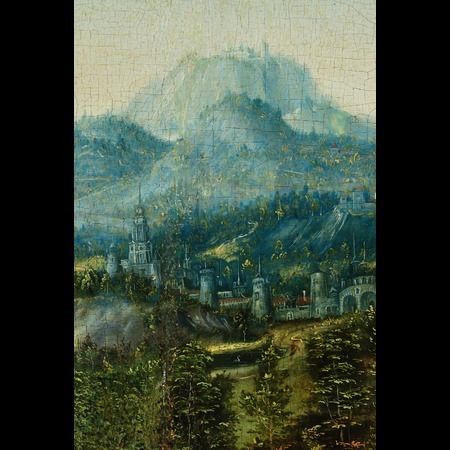 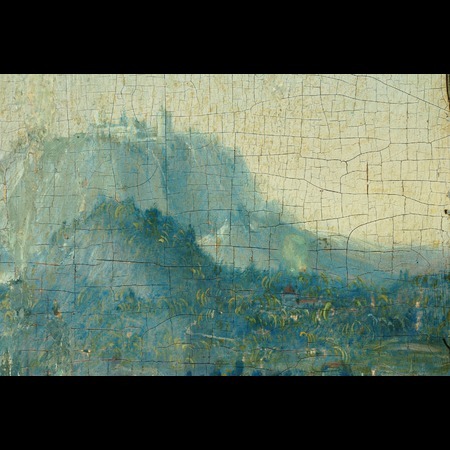 The presumption that the soldier standing on the left in the foreground could be a self-portrait of Cranach was first suggested by Benesch. 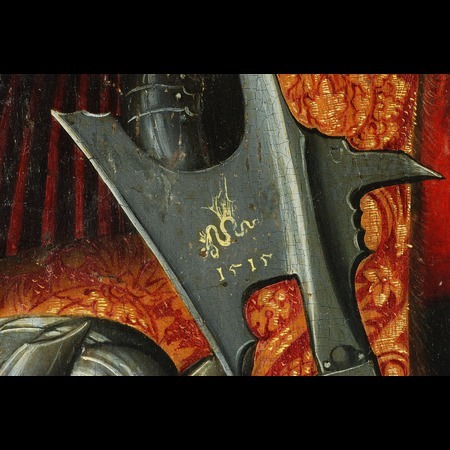 Friedländer and Rosenberg agree with this identification. 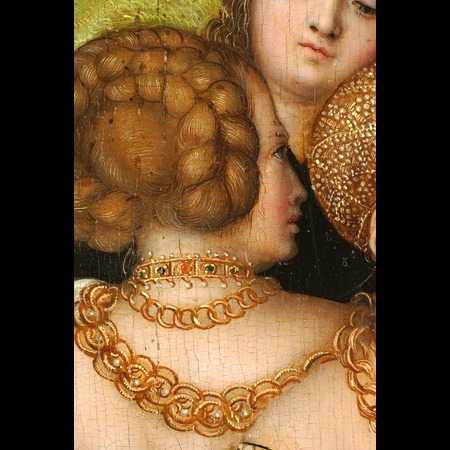 In the Frankfurt catalogue the author suggests that the motive for the self-portrait is Cranach’s pride at being commissioned by such an important figure. 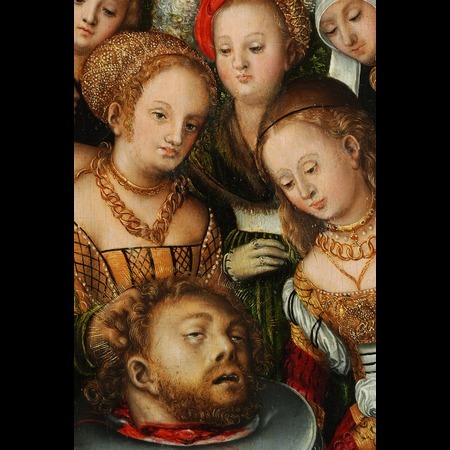 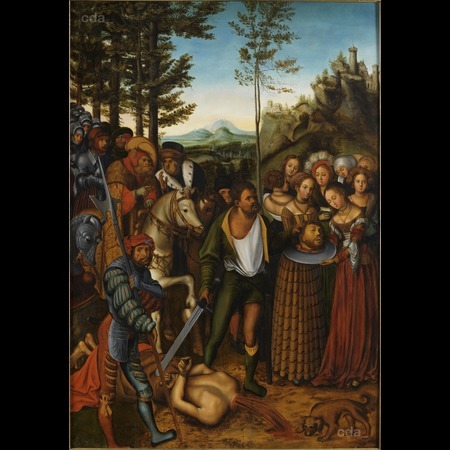 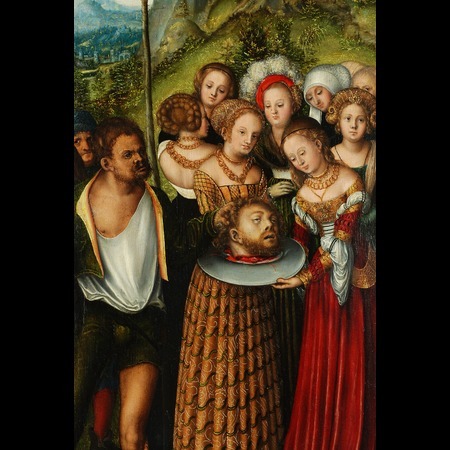 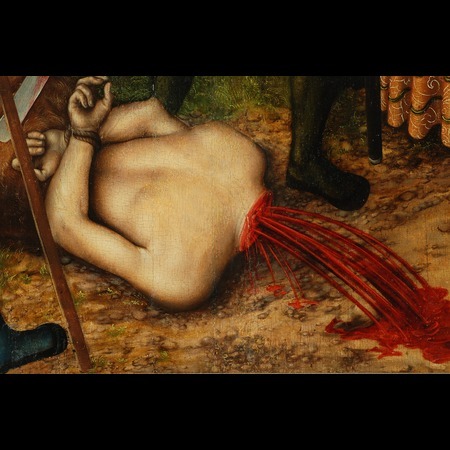 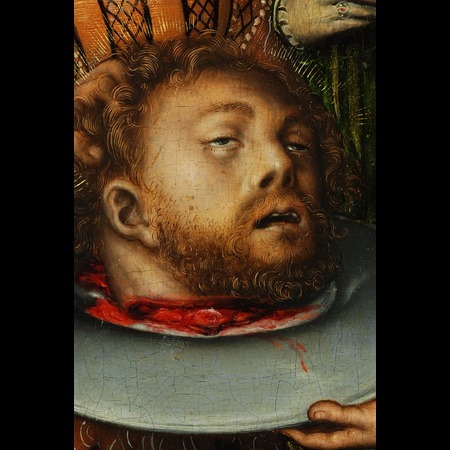 The pendant to this painting depicts the beheading of St Catherine and is in the same collection (FR74). 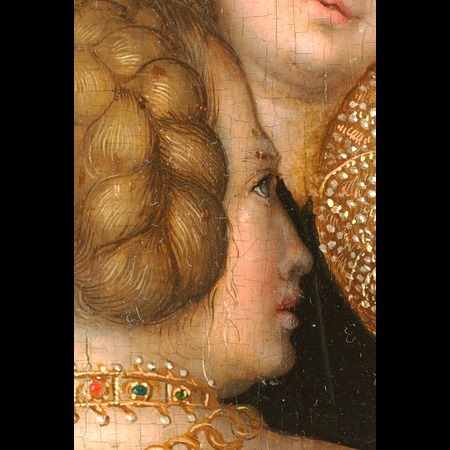 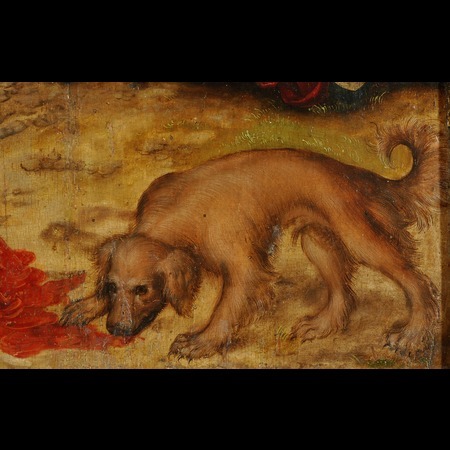 Both panels may once have been the verso of wing panels, which were part of a triptych. 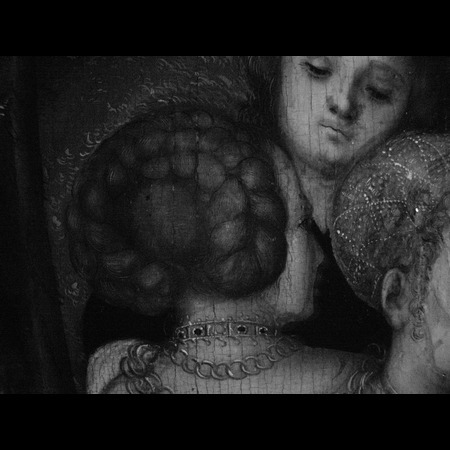 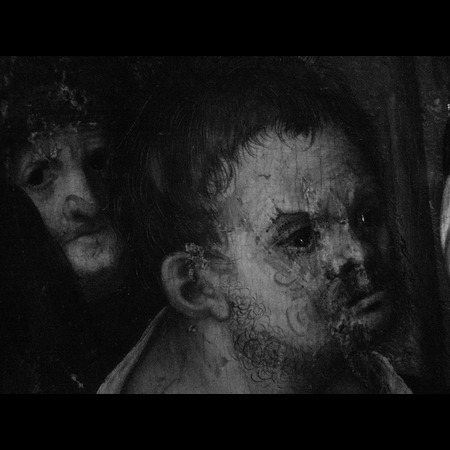 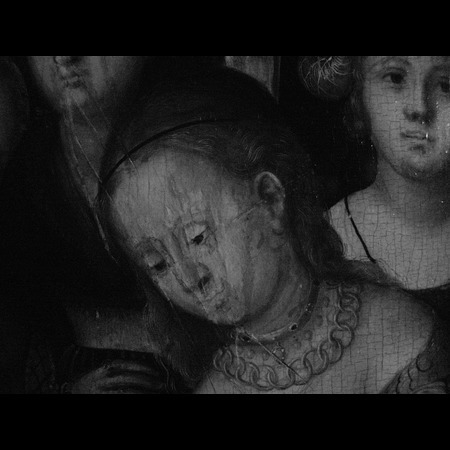 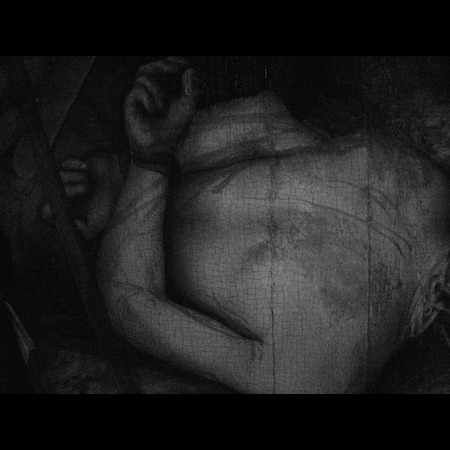 This scene was copied numerous times (FR73A-C).